When the snow starts falling, many people trade in their hiking boots for ski boots. But if you’d rather stick to steady climbs vs. downhill speeds, check out these 6 fantastic trails. When the snow starts falling, many people trade in their hiking boots for skis and snowboards, But winter can be a great time to explore America’s hiking trails. You’ll see forests blanketed with fresh coats of snow, enjoy popular trails at their least-crowded — and get a workout to boot. Here are 6 trails that are arguably better in the winter. In the summer, this state park is jam packed with people itching to see water rushing over the park’s 22 named waterfalls. In the winter, it’s quiet and beautiful. On a cold year, the rushing waterfalls have all but seized up into beautiful ice formations. Sometimes you can even catch climbers scaling the magnificent ice. If you go: There are two lots for parking for Ricketts Glen. Use the lower lot on route 118 to get the full experience. The park requires ice axe and when hiking in the park. Be very careful here, as the park gets very icy. New Hampshire is absolutely beautiful in the winter, and the White Mountains are a treasure trove for adventure lovers. The Lions Head trail is the standard route up Mount Washington in the winter months. Fair warning, it’s not for the faint of heart: The approximately 8-mile round-trip gains over 4,000 feet from the parking lot. If you go: Park at AMC Pinkham Notch and follow the Tuckerman Ravine Trail to the Lion Head Trail. Crampons are a must in the winter and packing an ice axe is recommended. Algonquin Peak lies in the high peaks region of the Adirondacks, near two-time Olympic host Lake Placid. The trail’s big claim to fame: Algonquin Peak is the second-highest mountain in New York. If you go: Park at the Adirondack Loj and take the trail toward Marcy Dam. Snowshoes are required when there is snow on the ground to avoid tracking out the ski trails. In the summer, this Catskills trail offers challenging terrain that’s difficult for many to navigate. 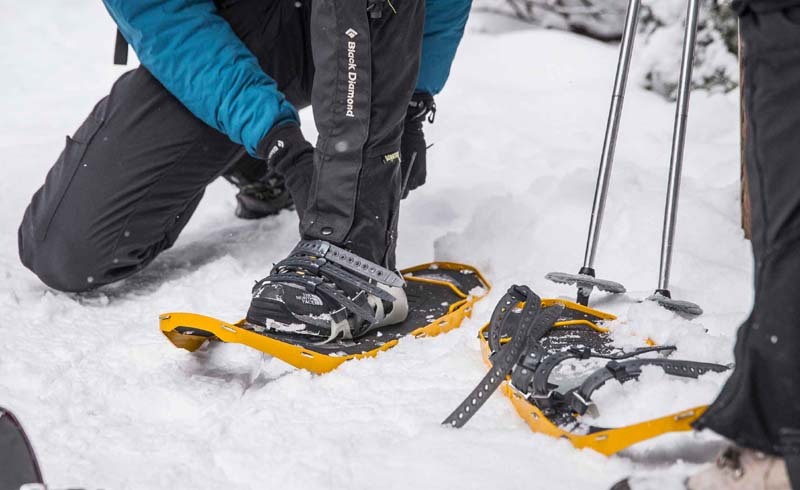 In the winter, snow fills in the trail, making it easy to explore with snowshoes. If you go: Park in the Woodland valley parking area and be sure to pack crampons, ice axe, and snow shoes. The Pinchot Trail is a 23-mile loop near the Poconos that makes a great cross-country ski or snow shoeing adventure. 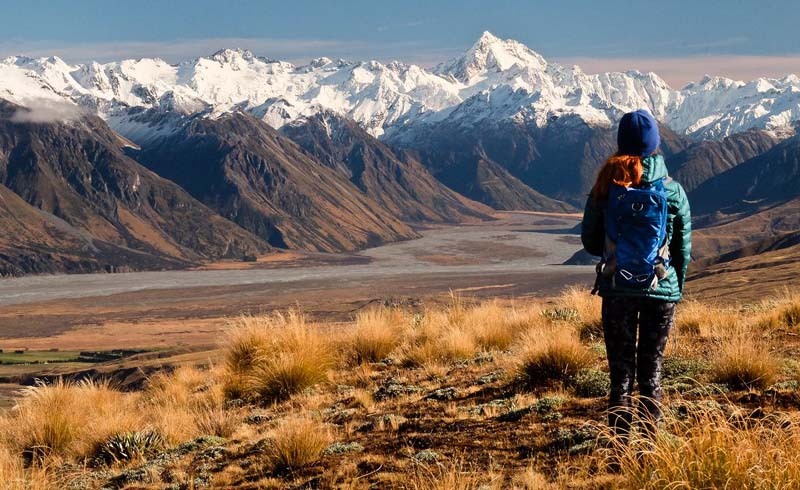 The trail is relatively flat, making it fairly easy for a fit person to complete in a day, or bring a tent and enjoy a winter camping adventure. If you go: Park at the trailhead ( directions ) and follow the Powder Magazine trail out of the lot into this beautiful forest. A snowy winter gives you a few options. Bring either cross country skis or snowshoes to make the most of the season. The Five Lakes Trail is situated between Squaw Valley and Alpine Meadows ski resorts, making the hike up to Five Lakes a great break in the action on a Tahoe ski trip. If you are really looking for an adventure, pack some overnight gear and head deeper into the Granite Chief Wilderness via the Pacific Crest Trail. If you go: Park at the pull-off about a mile before Alpine Meadows parking lot starts, if the parking area is snowed in, park at Alpine Meadows and walk the road to the trailhead. From the trailhead, it is a little more than a mile to Five Lakes. Bring snow shoes and trekking poles to save your knees on the way down. Now that you are armed with a new list of winter hiking adventures, get those snowshoes out and hit the trail. Do you have a favorite winter hiking adventure? Let us know in the comments!